Located on the Manatee County side of Longboat Key, this relaxed neighborhood of 269 single homes along both sides of Gulf of Mexico Dr is so appropriately deemed Sleepy Lagoon for it’s quiet & peaceful vibe. While easy to miss without signage, the community extends from Edlee Ln to Shinbone Alley on the bayside and to the West on Gulfside Rd. Both the architectural styles & price ranges vary wildly, you will notice 1-to-3 story residences, ultra modern new builds, to West Indies uber mansions. You’ll find a boat ramp at the end of this street and an easy 4-5 min walk to the beach access just NW of the property and across GOM Dr at the end of Gulfside Rd. Small town atmosphere with dogs being walked daily, neighbors out for jogs or bike rides etc. Nearby you’ll also find Cannons Marina, Cedars East Tennis Resort where one could join if tennis is up your alley. And the Bayfront Park, where you can launch kayaks and canoes, play tennis or enjoy in the paw park, Harry’s Continental Kitchen and Publix! This charming mid century home is situated as the 4th home from GOM Dr & welcomes you w/shady mango trees on almost a quarter acre parcel of land. Don’t forget the side wooden deck and rear paver gathering area with fire pit! And picnic table too! Great for just the land value to build your dream beach home, or use as an existing rental property or second home, this comes fully furnished as seen here excluding the artwork. AC unit ’18. Shingle roof ’05. Original windows. Rental history of $30k/yr gross. Please, send me more information on this property: MLS# A4432171 – $525,000 – 531 Edlee Ln, Longboat Key, FL 34228. 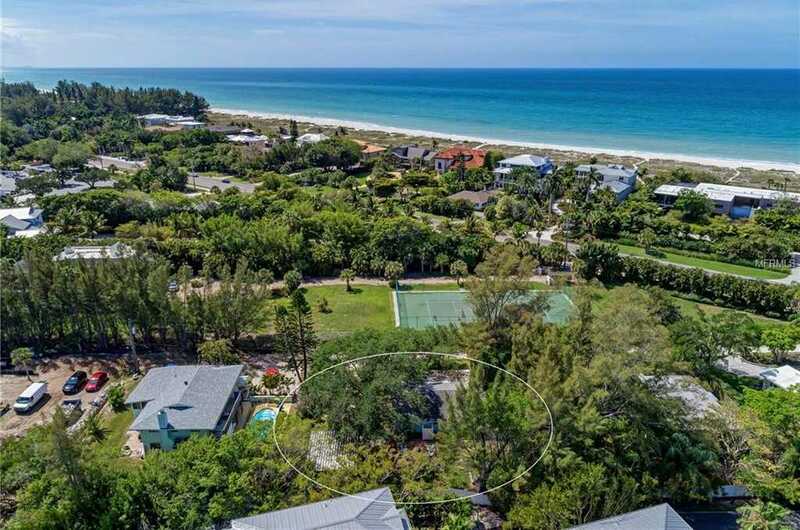 I would like to schedule a showing appointment for this property: MLS# A4432171 – $525,000 – 531 Edlee Ln, Longboat Key, FL 34228.